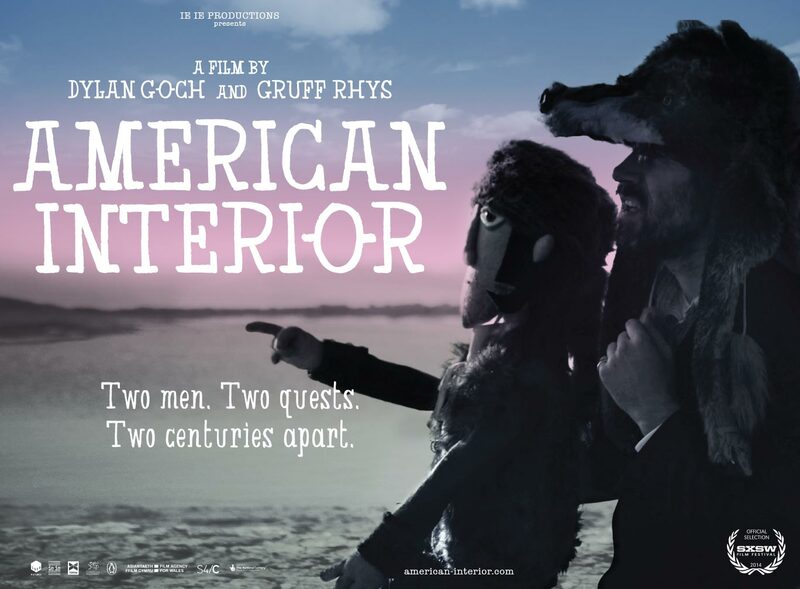 American Interior is a unique project that firmly establishes Gruff Rhys as a captivating storyteller, blurring the boundaries and possibilities of songwriting, music, literature, film and technology to create a multisensory experience telling the incredible true story of John Evans. In 1792, John Evans, a twenty-two-year-old farmhand from Snowdonia, Wales, travelled to America to discover whether there was, as widely believed, a Welsh-speaking Native American tribe - The Madogwys - still walking the Great Plains. During the course of an extraordinary adventure, Evans wrestled the largest river reptiles ever seen in the Mississippi, hunted Bison with the Omaha tribe, defected to the Spanish in St Louis, discovered imaginary volcanoes in Missouri, annexed North Dakota from the British, and created the map that guided Lewis and Clark on their legendary expedition. 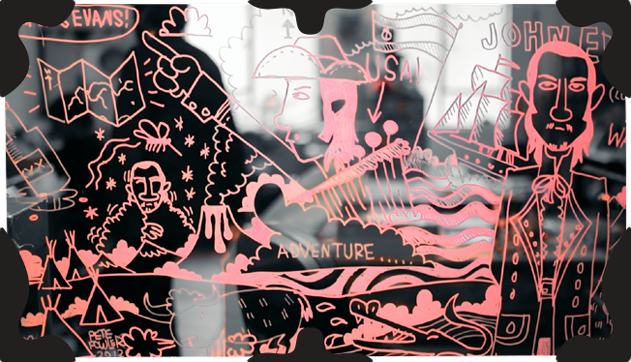 In the summer of 2012, over two hundred years later, Gruff – himself a distant relative of Evans - retraced the explorer’s route through the heart of the continent by means of an “Investigative Concert Tour ™" - a series of solo gigs that saw him accompanied by little more than acoustic guitar, PowerPoint presentation and a three-foot high felt avatar of John Evans designed by artist and long-time collaborator Pete Fowler. A psychedelic historical travelogue in which Gruff traces Evans' incredible journey from North Wales to New Spain, alongside the tale of his own strange American roadtrip following in Evans' footsteps. Published in hardback by Hamish Hamilton. Released on Turnstile Music, Gruff’s fourth (and best) solo LP features thirteen phenomenal new songs inspired by Evans’ original journey. Written in part on 2012’s “Investigative Concert Tour ™", the record is a topographical rock’n’roll masterpiece. Developed by Storythings, the app consists of one hundred separate entries (including pieces of artwork, animations, prose, film clips and original music) and creates a unique, immersive version of the John Evans story. 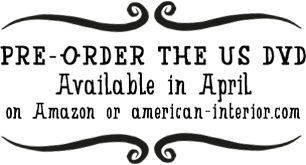 American Interior is an exploration of how wild fantasies interact with hard history and how myth-making can inspire humans to partake in crazy, vain pursuits of glory, including exploration, war and the creative arts.